Gary Lindner established Scotty's Investigations, Inc. in 1992 after he retired from the Maryland State Police with over 26 years of training and experience; most of that time spent in Allegany County. The agency has expanded from providing private investigations to services such as uniformed security guard services, roving security patrols with marked vehicles, courier service, and employment screening/background checks. All of our personnel bring integrity, honesty, pride, and professionalism. Scotty's Investigations, Inc. is licensed and bonded through the Maryland State Police as a Private Investigations and Security firm. The Annotated Code of Maryland--TITLE 19 requires that any person or firm that employs personnel as a security guard, night watchman, private patrolman, or by other title is required to be licensed. Every person employed as a security guard is required by lay to be certified by the Maryland State Police and to carry a Security Guard Certification Card. 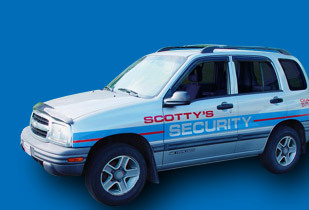 The employees of Scotty's Investigations have fulfilled all the requirements. Our company also carries $1 million of liability insurance and all personnel are covered by workman's compensation through Injured Workers Insurance Fund. Proof of these insurances can be provided upon request. This site is protected by copyright laws of the United States of America. ©2012 Scotty's Investigations, Inc.